In pursuance of the administration’s full commitment to the development of micro, small and medium enterprises (MSMEs) in the country, President Rodrigo Duterte and Department of Trade and Industry (DTI) Secretary Ramon lopez led to the execution of Negosyo Serbisyo sa Barangay held at Patio de Milagros Resort, Dimasalang, Masbate last January 9. Secretary Lopez underlined how the DTI’s initiatives and programs led to the continuous growth of MSMEs in the countryside through the years. “President Rodrigo Duterte is determined to give all Filipinos a better quality of life, whether through more jobs or empowering them to become entrepreneurs. To ensure the latter, we have resolved to push the entrepreneurial revolution in the countryside so that our country’s economic growth will be all inclusive.” Trade Secretary said. As of 2018, 1,049 Negosyo Centers have been established nationwide, and 14 of these are in Masbate. Currently, the Kapatid Mentor ME (KMME) program in Masbate has helped to create 225 jobs and to generate P5.75 million in investments and P11.5 million in sales. To stop people from taking on onerous loans, Pondo sa Pagbabago at Pag-asenso (P3) program, the Department’s microfinancing arm, has released loans to sub-borrowers in Masbate amounting P11,890,000 with 279 sub-borrowers endorsed to micro-financing institutes (MFIs). One hundred seventeen (117) sub-borrowers have already renewed their loans. There are now 13 Shared Services Facilities (SSFs) established in the province serving 275 beneficiaries and created 219 jobs with P4.52 million in investments and P10.24 million in increased sales. SSF program provides MSMEs access to technology and trainings to expand their production and enhance the quality of their products and services. Furthermore, to widen the market access of MSMEs, there is the Go Lokal! Program and Trade Fairs like Orgullo Kan Bikol which help mainstream their products. 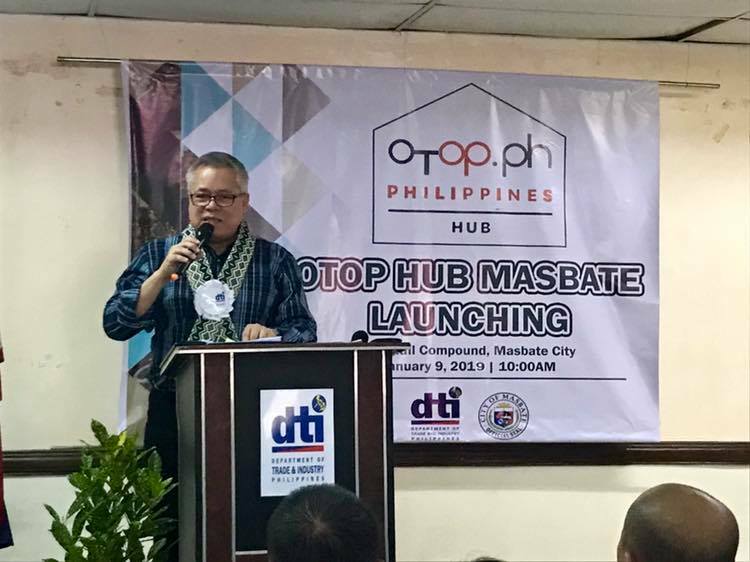 Also, One Town, One Product (OTOP) program has helped launch 112 products from Masbate – 102 are food products and 10 are non-food products. OTOP enables localities and communities to determine, develop, support, and promote culturally-rooted products or services where they can be at the best at or best renowned for. In partnership with the Barangay Development Council (BDC), DTI can offer directly to aspiring entrepreneurs in the barangays. With the Barangay Micro Business Enterprises Act (or RA 9178) offering business registration services at the barangay level, business registration in Masbate has jumped from 1,395 in 2016 to 2,696 in 2017. 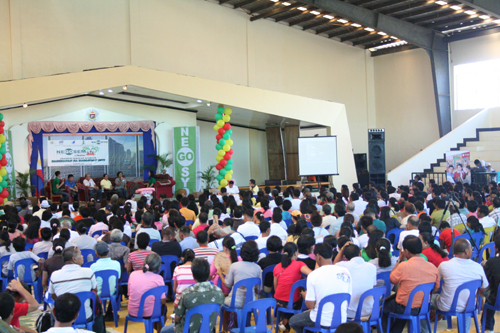 “That’s why at today’s event, livelihood seeding kits, P3 loans and even fishing and farming tools are available to those determined to start their own business as long as you fulfill requirements. Furthermore, you can get the skills training and the financing seed to become an entrepreneur as part of the Puhunang Regalo ng DTI (PRD), or the P500-challenge start up capital.” Trade Chief said. In the latter part of the event President Duterte led the awarding of Livelihood Seeding Kits to 3 beneficiaries out of 165 kits and also 3 loan borrowers out of 10 P3 beneficiaries. Livelihood Seeding Kits is an initiative of DTI through Regional Operations Group (ROG) Assistant Secretary Demphna Du-Naga. Fund sources of this project came from the OTOP Philippines and Philippine Amusement and Gaming Corporation (PAGCOR). This convergence caters the needs of the beneficiaries by distributing the seeding kits composed of start-up for sari-sari store.